You’re invited to our 2017 Vacatoin Bible School program Glow for Jesus. We are the light of the world and God intends for us to do good in the world. Jesus saved us to shine. This course challenges us to do something . 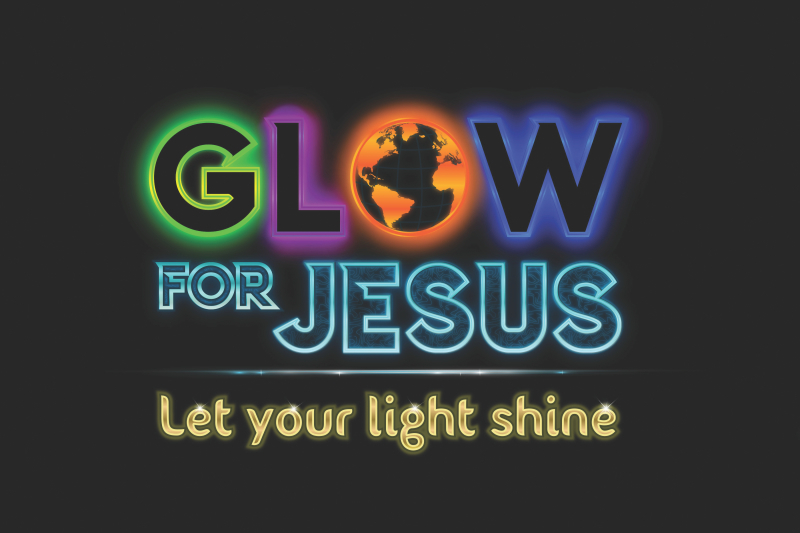 Get ready to glow for Jesus! Our curriculum teaches K-12 graders how to shine through work, academic excellence, and unselfish service. Each lesson features fun and engaging activities to motivate students to go beyond the church walls and glow brightly for Jesus in the world. Register to participate by July 9. ​For more information, contact Danni James at 240-441-1499. Power of Praise Glow party feat. Scripted Visions Band. Join us for our annual Back to School Bonanza in the afternoon.